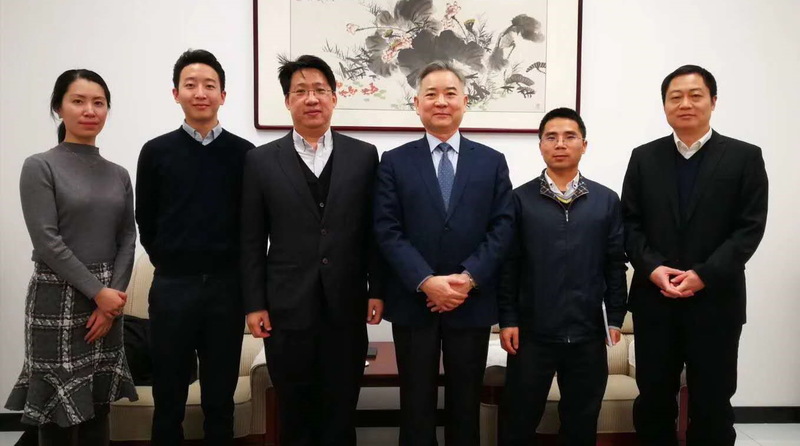 On January 24, 2019, Xu Hongcai, Deputy Chief Economist of CCIEE met with Jeongmin Seong, Vice President of the McKinsey Global Institute. Dr. Zhang Yingqiang and Dr. Xia Youren from the Industrial Planning Department at CCIEE were also present at the meeting. Xu Hongcai said that the Chinese economy is facing unprecedented opportunities and challenges. In 2018, China’s economy grew by 6.6% over the previous year, higher than the expected target of 6.5%. Generally speaking, the Chinese economy has remained stable and made important contributions to boosting the global economy. Faced with the trade war provoked by the United States, China is setting off a new round of reform and opening up, steadily promoting the construction of Hainan Free Trade Port, accelerating the opening up of its financial markets, optimizing business environment, and promoting high-quality economic development. In the face of new global trade protectionism, China’s economic growth is also shifting from export-oriented to consumption-driven, and domestic demand has become the most important variable in China’s economic growth. The upgrading of China’s consumption has provided a huge market for the world and given China an opportunity to expand its imports. Amid the global technological revolution, China is also working hard on promoting artificial intelligence, next-generation of mobile communications, and the development of new technologies, new formats and new models.